LONDON: 5 AUGUST 2005 - Mercator Gold plc (AIM: MCR) (“Mercator” or “the Company”) proposes to raise £1 million through an underwritten entitlement offer to Warrantholders for the early exercise of 12,500,000 Warrants (the 8 pence warrants listed on AIM: MCRW). The offer is conditional upon Shareholder and Warrant holder approval being received at the Extraordinary General Meetings of the Company in advance of the offer being made. The Company proposes to raise £1 million before expenses by way of the Offer. the maximum number of Warrants which may be exercised in aggregate under the terms of the Offer is 12,500,000. In the event that more than 12,500,000 Warrants are exercised in accordance with the terms of the Offer then the applications shall be scaled down on a pro rata basis. Mercator Gold plc is an exploration company which was admitted to trading on AIM on 8 October 2004. The Company entered into the Annean Joint Venture with St Barbara Mines Ltd, a company listed on the Australian Stock Exchange, to explore for economic gold resources in the Annean Joint Venture area in the Meekatharra region of Western Australia. The Company is currently carrying out an extensive drilling programme on a number of properties within the Annean Joint Venture area and preliminary results have encouraged the Company to extend its current programmes. To provide adequate finance for these extended programmes, the Directors have considered a number of funding options available to the Company and after due consideration have proposed, subject to the Shareholders Resolution and the Warrantholders Resolution being passed to raise additional finance of up to £1 million through an offer to all Warrantholders of an issue of one bonus 10p Warrant for every two Warrants exercised at any time during the period commencing on the date of passing the Shareholders Resolution and the Warrantholders Resolution (whichever shall be the later) and ending at 3 pm on 13 September 2005 (“the Offer”). The terms of the Warrant Instrument state that each Warrant entitles the holder to subscribe for one Ordinary Share at the price of 8p per Ordinary Share at any time during the period commencing on Admission and expiring 13 months thereafter and for every two Warrants exercised the holder will also be entitled to be issued with one 10p Warrant exercisable at any time during the period commencing on Admission and expiring 25 months thereafter. 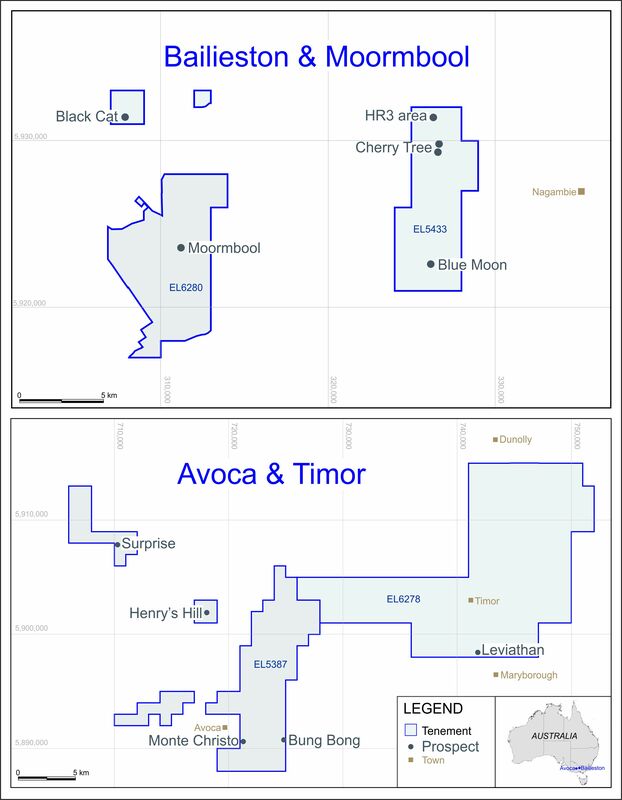 Mercator believes that the results received from the projects thus far justify the continuation of drilling programmes at Surprise – including Surprise Extended and Jess, Bluebird and Maid Marion projects. Sufficient capital will be raised by the early exercise of a proportion of warrants to allow drilling to continue without excessive dilution of the company’s shares. Mercator’s objective is to establish a resource base of sufficient size to sustain a substantial operation for a long period of time (greater than 10 years). To achieve this objective the company is targeting a minimum of 4 deposits containing at least 500,000 ounces each. has commissioned an independent Consultant to conduct resources evaluations at 2 of each advanced project – mainly Bluebird and Surprise – including Surprise Extended. The Report rates the company’s exploration team as being in the top 10% of those operations worldwide, and it further notes that the company has a better than 80% chance of discovering more than 500,000 ounces in at least 4 separate deposits. It’s landholding at Meekatharra is delivering results and the SpaDiS™ System leads the way in identifying the high grades zones that will support long term profitability. Newland has agreed to underwrite the Offer to the maximum extent and has therefore agreed that in the event that applications under the terms of the Offer are received for the exercise of less than 12,500,000 Warrants it will exercise sufficient of the Warrants held by it to cover the shortfall. The agreement with Newland is on the following terms. The Company shall pay an underwriting commission to Newland of £50,000 cash payable upon completion of the Offer. Newland is a related party as a result of their holding 12,849,500 Warrants and nil Ordinary Shares in the Company as at the date of this document, equating to 37.25% of the existing Warrants and equating to 14.75% of the Existing Share Capital. The underwriting arrangements as set out above constitute a related party transaction under the AIM rules. The Directors consider, having consulted with the Company’s Nominated Advisor, that the terms of the underwriting are fair and reasonable insofar as the Company, the shareholders and the Warrantholders are concerned. The Company has called an Extraordinary General Meeting of Shareholders and an Extraordinary General Meeting of Warrantholders for 30 August 2005 at the Company’s office. A notice of this meeting is posted to all Shareholders and Warrantholders detailing the offer and recommending that both resolutions are supported. The Warrantholders who do not take up their rights under this offer will not have their original rights varied in any way. Note: The document is available, free of charge, for a period of at least one month from the Company’s office at Peek House, 3rd floor, 20 Eastcheap, London, EC3M 1EB.